Small brands are gaining trust and influence on the store shelf, but can retailers just walk away from big heritage labels? Not likely. Shoppers want access to both small and big names, our research shows, but for different reasons. Here’s how adventure, and even self-expression, factor in, and how some merchants are responding. If you think bigger is better in retail, then grab a cart and travel down the freezer aisle of your nearest supermarket. In many grocery stores, the competitive landscape of the ice cream freezer is changing due to a $2 billion startup, the low-calorie dessert Halo Top. That means another brand has got to move out or cut back. It’s a battle not limited to size or the ice cream category, and it has implications that extend beyond turf wars. Retailers, in their efforts to remain relevant, are dedicating more shelf space to unique smaller brands, including local startups that resonate more meaningfully with shoppers. Small food and beverage makers saw their market share rise to 19% in 2017 from 17% in 2016, according to Nielsen. Retailers and brands, which are under tremendous pressure across all categories to perform, have been seeking a balance that satisfies shopper needs. To that end, we’ve asked consumers how they feel about big and small brands. Let’s put their preferences into context. Research from our How America Shops® report, Benchmarking the Future - Reality Check, shows while shoppers increasingly seek out small, niche brands, they remain heavily interested in national labels. For example, while 57% of shoppers told us they trust small brands, 75% trust national names. Yet when it comes to how well brands serve as a form of self-expression – an increasingly important quality – size matters less: one-third of shoppers feel this way about small brands, and 36% about big ones. Ankle-biter brands from Halo Top to the cosmetics line Peach & Lily are muscling onto retail shelves because they represent more than a commodity. 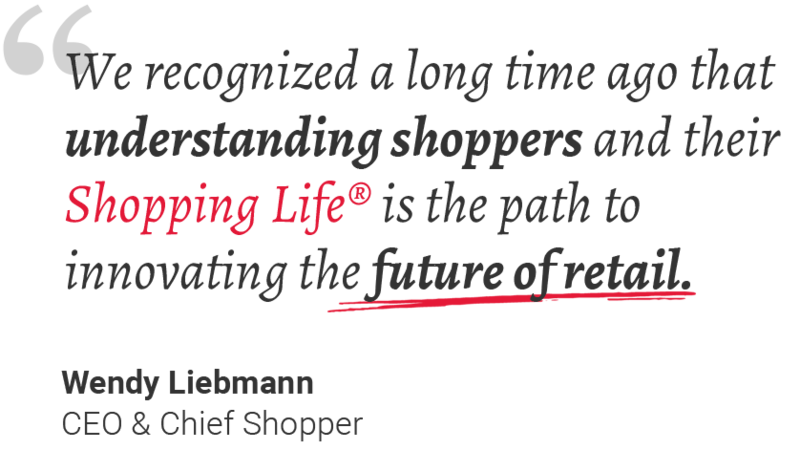 To the shopper, they embody a lifestyle and a philosophy. Little wonder major manufacturers are buying them up. Campbell Soup owns Bolthouse Farms; Kellogg’s owns Kashi, which owns Bear Naked; and Hormel owns Applegate Farms. Retailers, meanwhile, are exploring more technologically inventive options, such as replacing physical aisles with unending digital ones. In Gainesville, Florida, for example, Walgreens is testing a new store format that reduces stock-keeping units by at least 20% to simplify the experience. To compensate, Walgreens is investing more than $500 million in digital options that offer endless aisles of goods. This includes supply chain systems that help address “the last mile” delivery to customers. Other merchants, from Walmart to Macy’s, also have been rolling out digital alternatives to in their quest to bring all things, big and small, to the shopper without sacrificing choice or balance. Others are matching the promise of niche brands with lower-cost private label alternatives. Kroger, for example, launched its own Low Cow Lite Ice Cream and sells it alongside Halo Top, presenting shoppers with two choices, and increasing its chance of a sale. The look, promise, and mission of these brands, regardless of size, will be tested as they all compete in the aisle on a screen. We will keep the pulse of shopper sentiment toward these brands. In the meantime, brands should ask: Why do they trust us? Why are we interesting? And, importantly: Where’s the adventure? Someone with a couple pints of Halo Top or alternative in their cart will gladly tell you.